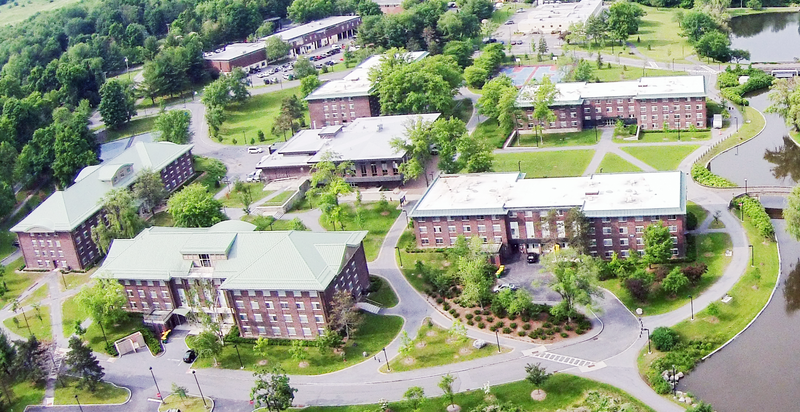 The March 20, 2019 vote (read the news release here) followed 19 months of research and inclusive dialogue involving students, faculty, staff, alumni, the College Council, the Diversity & Inclusion Council and New Paltz community stakeholders, including Historic Huguenot Street representatives and Huguenot descendants. View timeline of process below. 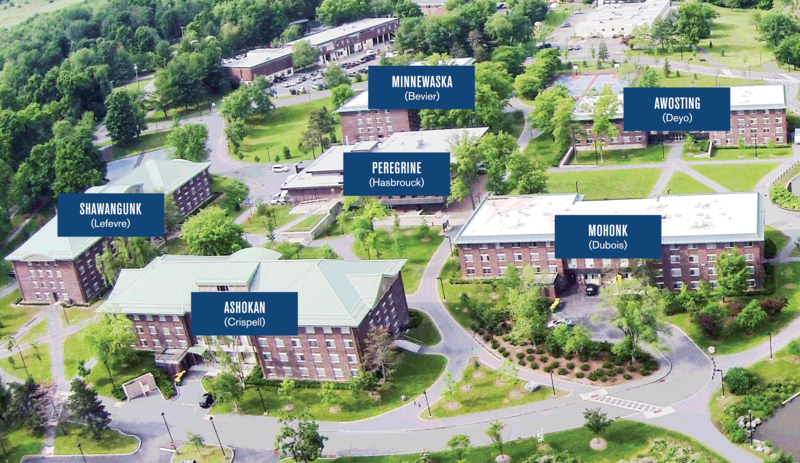 The new names (Shawangunk Hall, Awosting Hall, Minnewaska Hall, Mohonk Hall, Ashokan Hall and Peregrine Dining Hall) carry local meaning and were approved by the College Council on March 6, 2019. The names were recommended by a study group of College Council members, faculty, staff, students, alumni and a Historic Huguenot Street Board member. The study group chose the names from the results of a campuswide survey to solicit new names from students, employees, alumni and Historic Huguenot descendants. More than 3,000 individuals responded to the survey. Preparations for the renaming are already underway and will continue through the coming months. There are a number of logistical and infrastructural issues that need to be managed before the new names can be implemented, including fire and other safety systems; room inventories and other databases; web directories and content; issues related to mailing addresses, signage, maps, campus tours and other Residence Life processes; and many more. Read the archive of communications, reports, and community letters regarding this process. View all related College Council webcasts here.